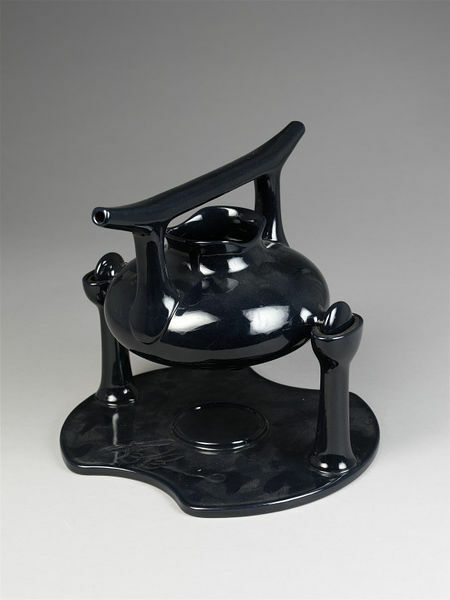 Teapot and stand, covered in a shiny, black glaze over a dark brown earthenware body. 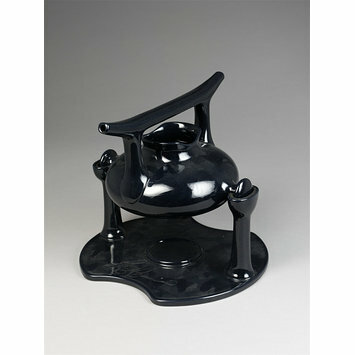 'Zen' teapot and stand, glazed earthenware, designed by Luigi Colani, made by Porzellanfarbik, Friesland, Germany, ca. 1983.